the then downtrodden neighborhood of East Liberty. Last week I served on a two-day ULI/ICSC/HUD roundtable with about 30 of the nation’s leading retail developers, retailers, financiers, policy analysts and retail consultants. The goal of the meeting was to develop a set of strategies that ULI and ICSC can act upon to help the commercial real estate industry better address the retail needs of under served markets. I particularly enjoyed a presentation by the former Mayor of Pittsburgh, Tom Murphy and Mulu Birru, former head of the Pittsburgh Urban Redevelopment Authority (URA). During Mayor Murphy’s tenure these two men were at the forefront of an innovative investment strategy that produced outcomes that were nothing short of amazing. Much of Pittsburgh’s current Renaissance can be attributed to their work in the late 1990’s. My favorite anecdote was a story that Murphy told the group about the City’s efforts to turn around the neighborhood of East Liberty. In 1994, the City of Pittsburgh bought a former Sears site (an abandoned department store on about 7 acres) in East Liberty, a neighborhood that had once been the State of Pennsylvania’s third largest retail hub. To that they added an additional 10 to create an 18 acre assemblage. The first question most would ask is, how did a broke City like Pittsburgh get to the money to buy the property? Well, part of what was so innovative about the effort was the creation of a Development Fund, controlled by the URA, of $65 million dollars. The money was raised by siphoning off $6 million in operating funds from the City budget, which was then used to raise bond money for a dedicated acquisition fund. In a City replete with vacant, post-industrial land, this effort was tantamount to turning the City into the prime driver of development. It was a risky maneuver at the time. But back to East Liberty. The site the City purchased was strategically positioned and located between two neighborhoods – one the poorest and one the wealthiest in the Pittsburgh region. 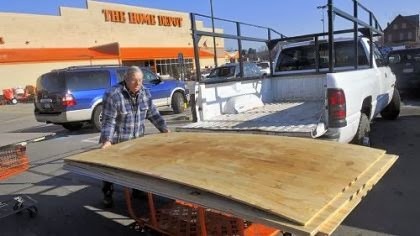 After some planning and research, the decision was made to pursue Home Depot as an anchor tenant for what was essentially a wholesale strategic repositioning of the district. Like many communities who embark on retail attraction efforts, early outreach to Home Depot was unsuccessful. No one thought the site had potential. Not easily deterred, Murphy called the Mayor of Atlanta where Home Depot is based in search of some intelligence on the owners. The Mayor of Atlanta shared with Murphy that one of the owners, Bernie Marcus, was a philanthropist and very involved in Jewish issues. With that, Murphy hatched a plan. He asked Pittsburgh’s Jewish community to invite Marcus to speak. At a reception, Murphy’s body guard approached the Home Depot owner and opened his lapel to show his gun, at which point he said, “we’re kidnapping you”. Murphy then took the owner on a 20-minute tour of East Liberty. Later that night, Marcus committed to building a Home Depot with the City as a partner.Wow. Murphy and Birru knew that concessions were going to be required – and those concessions were not insignificant. For every $1 of Home Depot investment there was over a $1 of incentive required. For Home Depot, this was an untested market and they were a first mover who wasn’t sure if the project would work. The project was a resounding success, and the store become the highest volume Home Depot in the Pittsburgh region. In addition to real estate taxes, nearly 250 jobs were created and according to Murphy, 80% of employees at Home Depot walked to work. This particular point is important because some of the neighborhoods surrounding Home Depot are quite poor. It’s also important to note that future development did not receive the same incentives. In fact, the last project, Bakery Square, received $0 in public monies. Now the area includes a Trader Joe’s a Whole Foods and a Target. Not every community has a visionary leader like Tom Murphy, someone with a clear vision and a forceful personality to make it happen. But what other lessons can we take from this story? The importance of eminent domain to pull together an assemblage. We cannot forget that urban sites are often not large enough to support the kind of retail that is competitive in today’s economic environment, so the ability to use a mix of traditional property acquisition with eminent domain is an important and not to be overlooked policy tool. The importance of the Development Fund, which gave Birru the legitimacy to enter into conversations with developers. Without the ability to write a check, he would have had significantly less leverage. Let us not forget aggressive salesmanship! While I wouldn’t suggest trying to kidnap a senior executive, Murphy knew it would take a national brand to change the perception of the area, and he did whatever was necessary to get to a decision maker and get past the traditional site selection gatekeepers. “Go around the brokers” was something we heard a few times during the round table. The acceptance of risk sharing for early catalytic projects is critical. While inducements over time from the City fell to zero, public funding was critical when the market wasn’t working.